Sydenham Hill railway station is located on the Chatham Main Line serving Sydenham Hill, the Kingswood Estate and Upper Sydenham in South London. Managed by Southeastern, it is served by its Bromley South Metro services and is in Travelcard Zone 3. The station is at the north-western portal of the Sydenham Hill Railway Tunnel and is 5.75 miles from London Victoria. The station is located in a deep cutting with access to all platforms (and the station itself) via several steps. Originally the station known as Sydenham Hill (for Crystal Palace) due to its proximity to The Crystal Palace until 1936, when the palace was destroyed by fire and never rebuilt. The typical off-peak service is four trains an hour northbound to London Victoria (via Herne Hill and Brixton) and four trains an hour southbound to Orpington (via Bromley South). 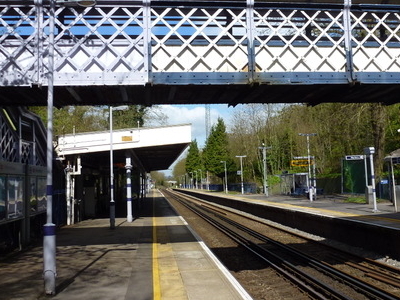 Here's the our members favorite photos of "Railway Stations near London Borough of Southwark". 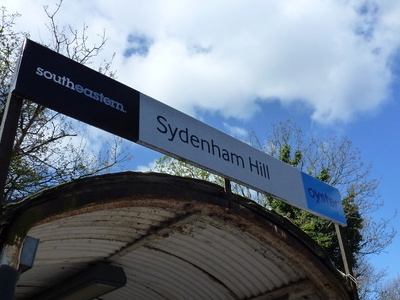 Upload your photo of Sydenham Hill Railway Station!